A suburban Georgia couple moves their blended family to the Dominican Republic to experience a new culture. They hope to find a home with garden space for the kids. 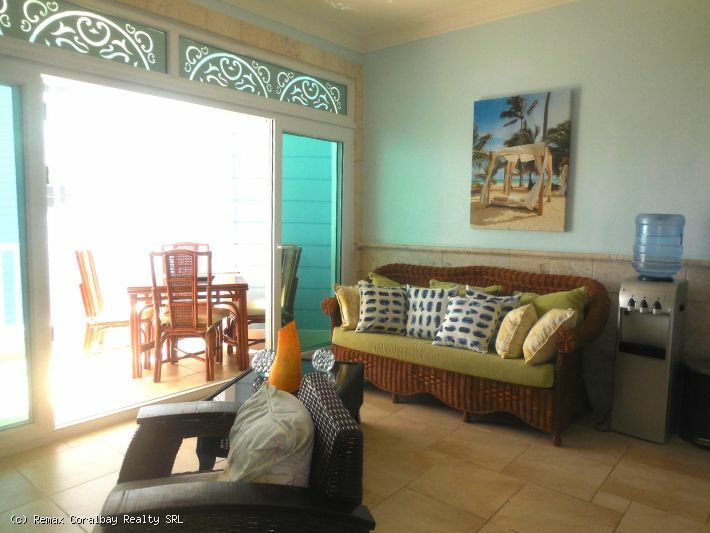 Spectacular beachfront condo in high end residential beach complex directly on the famous semi private General Imbert beach. Just a couple of blocks walk to downtown shopping, restaurants and bars. This fully furnished penthouse is being offered by the developer, and is located on the third floor where you will enjoy the most beautiful ocean view. The high cathedral ceilings and wall of sliding glass doors and windows provide tons and light and air the large open plan living area. There are two spacious ensuite bedrooms, each with a spa inspired bathroom of all natural coral stone and custom cabinetry, and the master bath with a Jacuzzi. The high end gourmet kitchen comes complete with granite counter tops and all stainless steel appliances. An additional 1/2 bath for guests and a large laundry room complete the layout. It has unique décor, modern furnishings and elegant natural stone floors. All rooms have individual energy saving air conditioners. This very secure and tranquil complex is located on a gorgeous quiet and calm beach with crystal clear waters, perfect for swimming and snorkeling. There is also the beachfront infinity swimming pool with whirlpool, and large shaded deck area to enjoy unforgettable sunsets across the bay. High rental potential too! Contact the listing agent for additional pictures and details. Cabarete Beachfront Two Bedroom – Bargain Price & Financing! 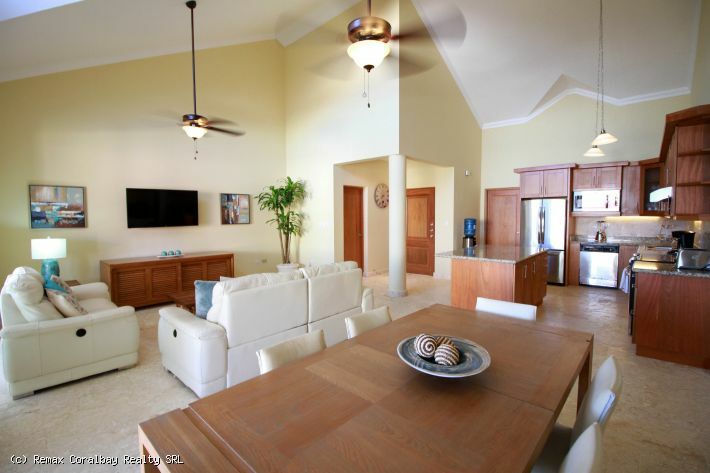 Source: Cabarete Beachfront Two Bedroom – Bargain Price & Financing! Located right on the beach with a great view! Live the relaxed beach life in this Victorian style apartment – light and airy with two bedrooms, an open design living area and nice covered terrace looking out to the blue ocean. Just updated with all new stainless appliances, paint, new flat screen TVs in both bedrooms and the living room, linens, etc.. There is a large grill on the terrace and a washer/dryer. Conveniently located close to town – totally ready to move-in and enjoy and/or rent. It is hard to find another beachfront two bedroom any where near this price with this quality. Owner will also finance for any qualified buyer! Contact the listing agent for more pictures and all the details.